The makers of his upcoming period drama Sye Raa Narasimha Reddy have released the teaser of the film. The teaser introduces Sye Raa Narasimha Reddy and tells us why his story is important. The film is a biopic on Uyyalawada Narasimha Reddy, who is said to have led the first civilian revolt against the British. Sye Raa Narasimha Reddy is a highly anticipated movie as it chronicles the epic story of Kurnool-based freedom fighter Uyyalawada Narasimha Reddy. It has also gained a lot of public attention as it is being directed by Surender Reddy, popular for helming the Kick franchise. Sye Raa Narasimha Reddy is being produced by Ram Charan at a whopping budget of Rs 150 crore. 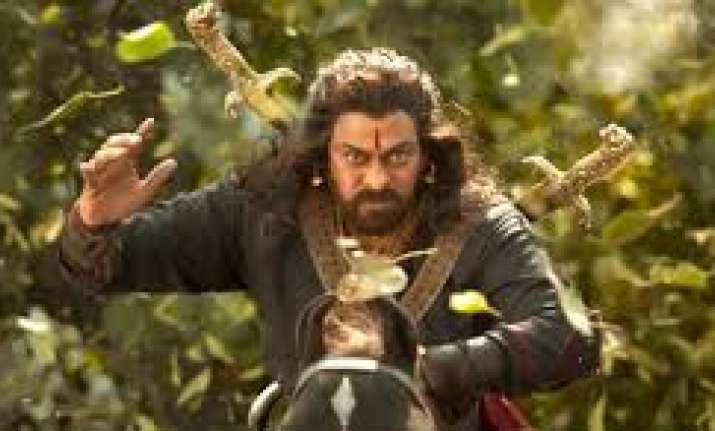 Sye Raa Narasimha Reddy stars Chiranjeevi as Uyyalawada Narasimha Reddy, Amitabh Bachchan as Uyyalawada Narasimha Reddy’s Guru, Vijay Sethupathi as Narasimha Reddy’s trusted aid Obbaya, Nayanthara as Narasimha Reddy’s wife Raajakumaari Nayana Devi, Tamannaah as Thamizh, and Sudeep, Jagapathi Babu, Huma Qureshi and Ravi Kishan. Previous articleSethi departs; what happens next?